This is a resurfacing treatment that safely and effectively buffs away dead skin cells to reveal clean, fresh, and radiantly glowing skin. This system combines the power of natural sapphire crystals with trace mineral nutrients (from semi-precious gemstones) and hydration-binding ingredients, to create a harmonious skin care treatment. 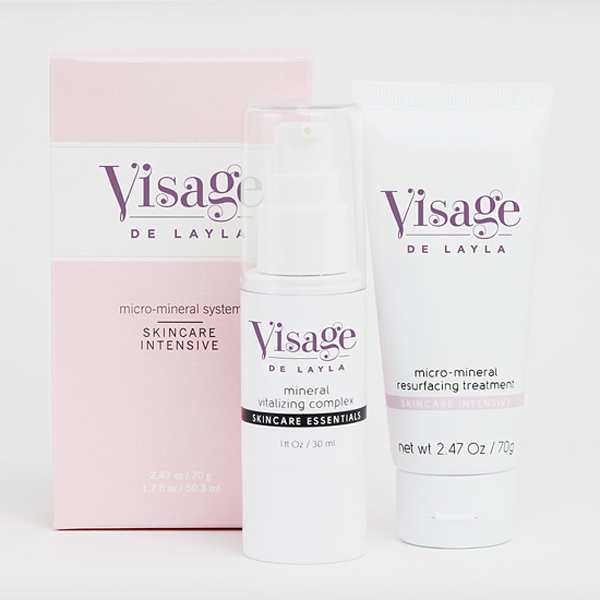 It’s an effective alternative or supplement to professional microdermabrasion treatments. Sapphire Crystals is a manual exfoliant that resurfaces the skin. Malachite Extract, from the copper family, purifies, balances, and replenishes. Rhodochrosite Extract, from the manganese family, is an anti-stress ingredient that soothes and relaxes the skin. Smithsonite Extract, from the zinc family, revives fatigued skin with its regenerative properties. Saponaria Officinalis (Soapwort) Extract is a natural cleansing agent with antibacterial properties. Licorice Root Extract is known to reduce inﬂammation, while brightening and clarifying the skin. Be the first to review “Micro-Mineral System” Click here to cancel reply.